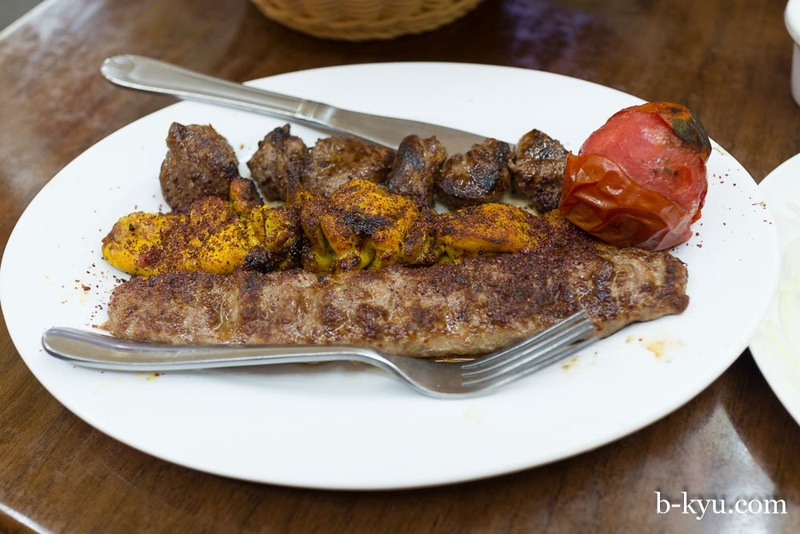 Is this the best Afghani BBQ in town? It's a bold claim but one that we can help Kebab Al-Hojat stand behind. 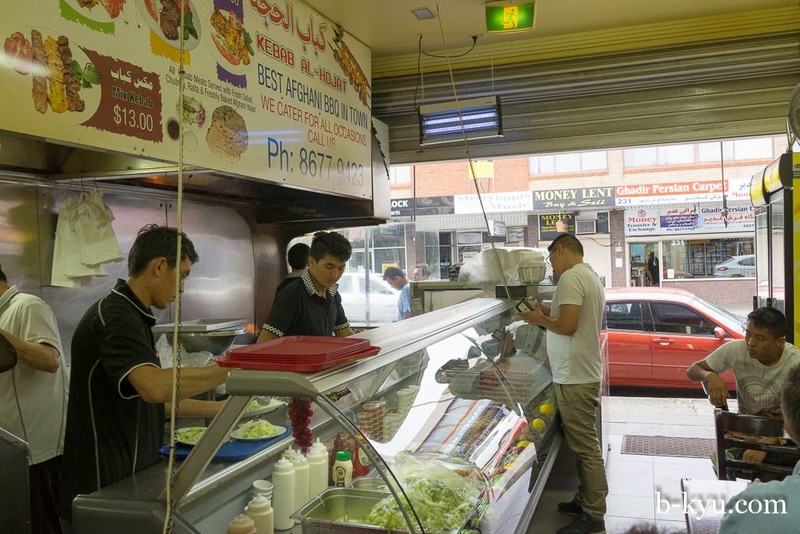 Merrylands has a number of Afghani restaurants, you can choose from more finer sit down affairs to this takeaway style place. As somewhere that gives us that 'eating out in the street overseas feeling', this one wins out. 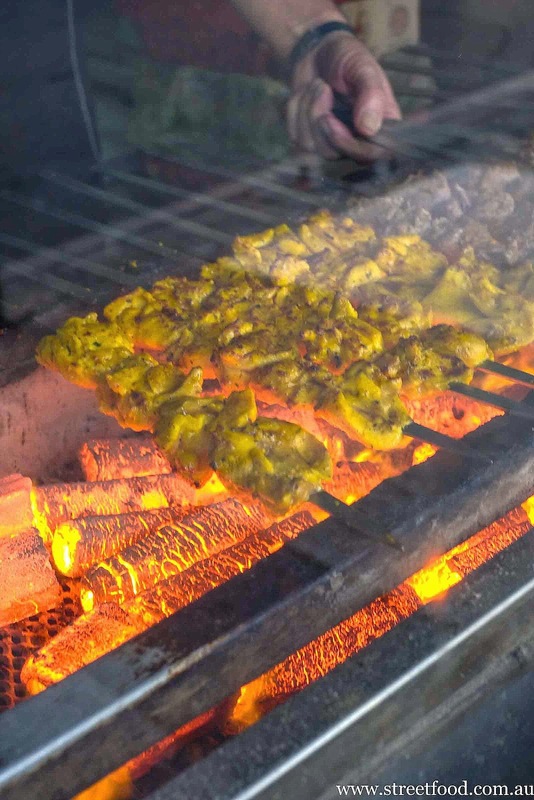 It's not on the main street but tucked around the corner on Pitt St.
From out the front you can see the skewers of meat roasting over the carefully tended coals. It's like BBQ TV. The main deal here is a meal. 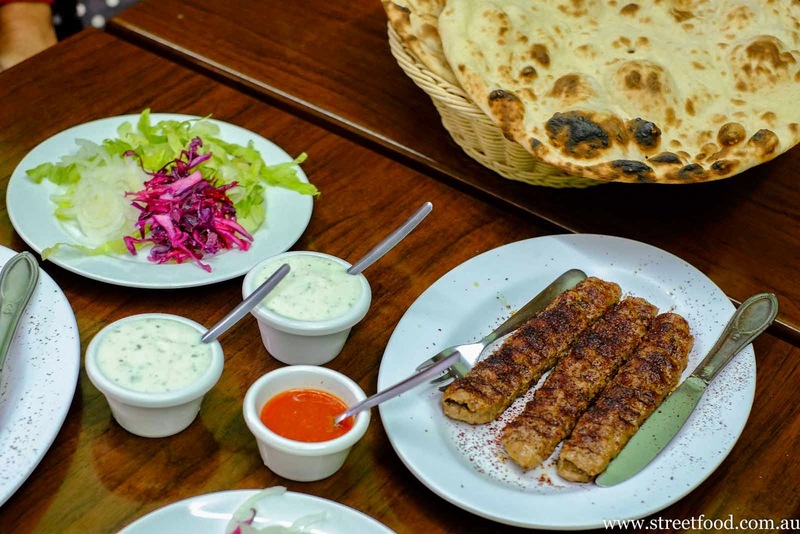 You are ordering a serve of meat, flat bread made fresh on site, plates of salad, yoghurt raita (plain yoghurt with a hint of mint) and a small shot of chilli sauce (chutney). We saw some hungry punters get refills on their bread and salad. Alternatively you can get a roll, at $5 they are a bargain for the quality and taste of the meat included. 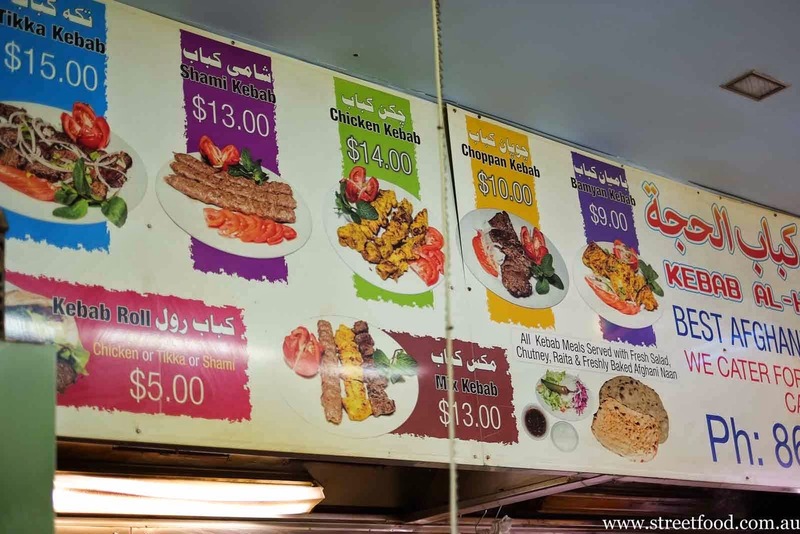 There are chicken options (bamyan and skewered pieces), lamb (shami and choppan) and beef (tikka), but no vegetarian. This is an unrepentant meat BBQ joint. 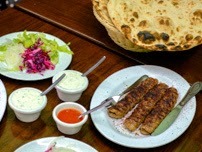 Shami kebab - $13. Fine lamb mince kebabs, aka Afghani rissoles. Liberally shaken with sumac, these grilled mince numbers were juicy enough to leave behind a meaty sauce. We've never tasted any mince kebab so moist and flavourful, nothing at all like the mince recipes Shawn's Mum used to make in '100 ways with Mince'. 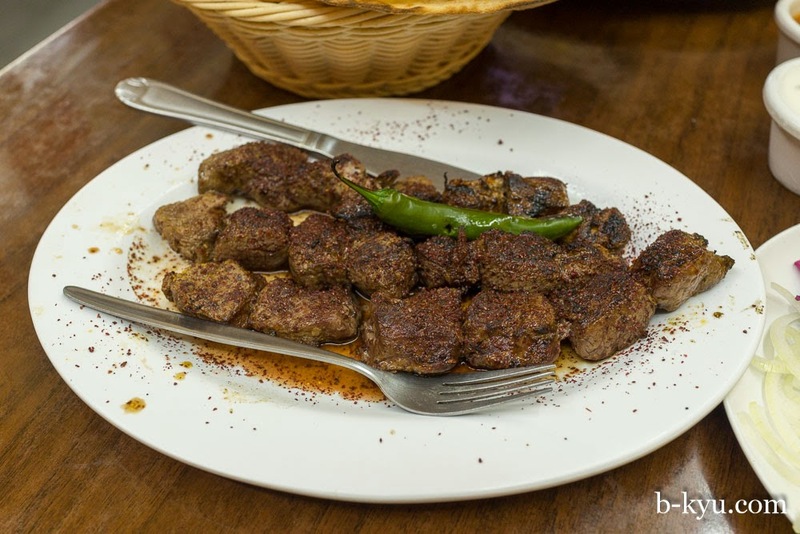 Choppan kebab - $10. Teeny tiny seasoned lamb chops. They were quite salty, which is one way to make sure they are also full of flavour and grill up well. Most of the delight with these is chewing the belligerent pieces of meat that refuse to come of the bone without a fight. 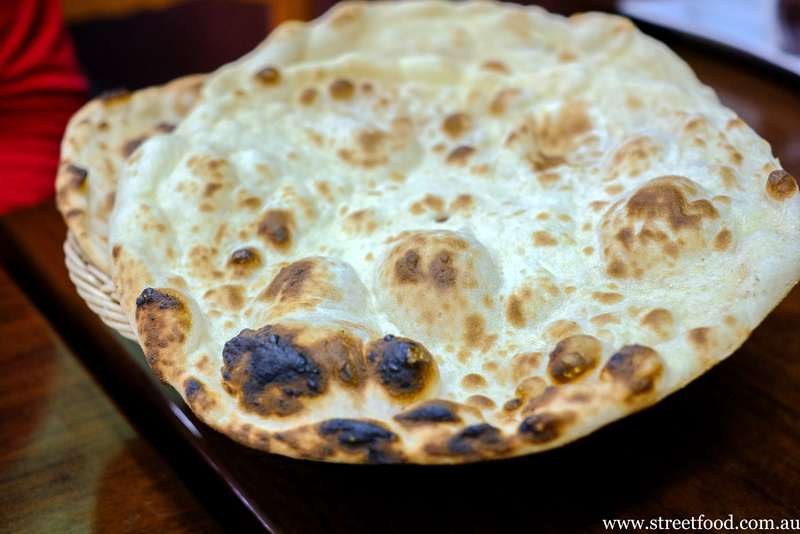 The Afghani bread is cooked right in front of our eyes in a traditional style oven. It's made fresh to order. It's flat, light and still warm from the oven. Watching the bread making in the store was fascinating, the dough went from a single round ball to nicely baked flat bread in minutes. Three large pieces come for two people, but we think you could ask for more if needed. We're not sure how these are meant to be eaten but here's our serving suggestion. It worked well to mix some of the meat and salads together and ladle on sauce, sumac and yoghurt as you please. We're back for more Afghani on Australia day, 2015, after sinking a couple of beers with the pensioners at the Billabong Hotel down the road. Alison came specifically for the choppan (lamb chop) kebab but it was sold out. 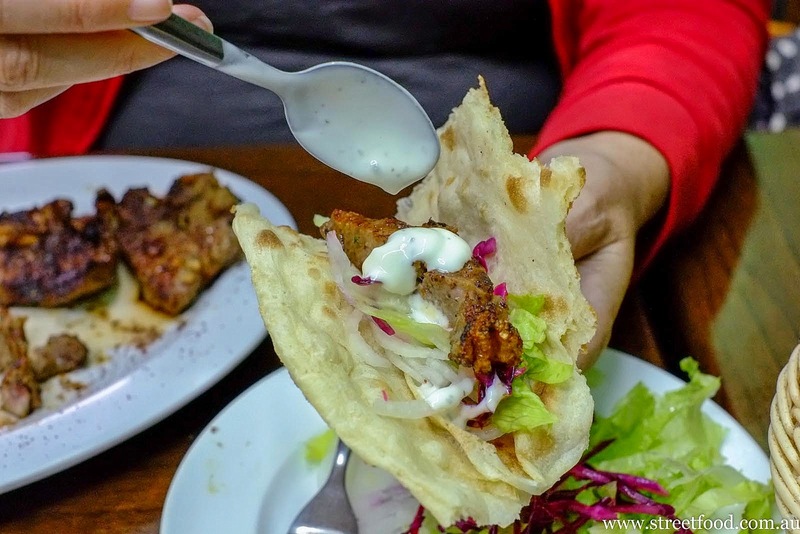 Today we have mixed kebab instead: it comes with chook, lamb and rissole and the usual bread and salads on the side. 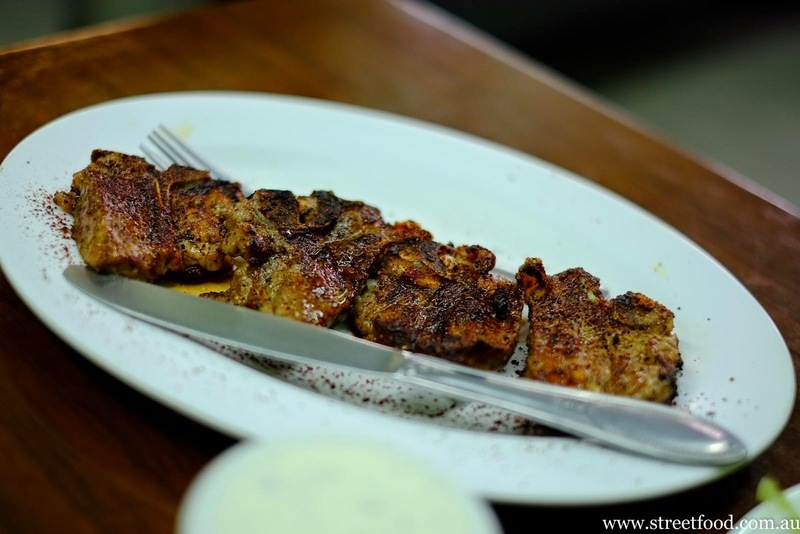 The tikka kebab is highly recommend, they us really good lamb, possibly backstrap, it's super tender and moist. What an Australia day feast, eh? 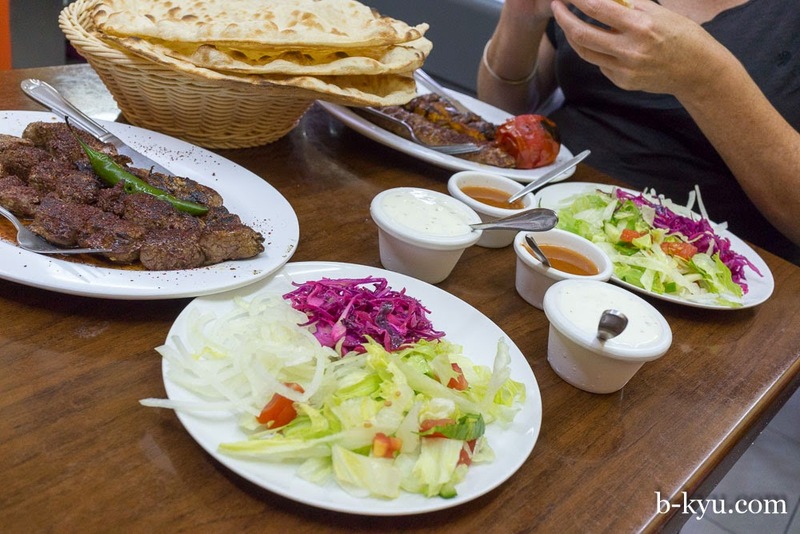 Kebab Hojat is one of our all time favourite Sydney feeding holes, at least in a top 5, if not in a top 3. If we had one. 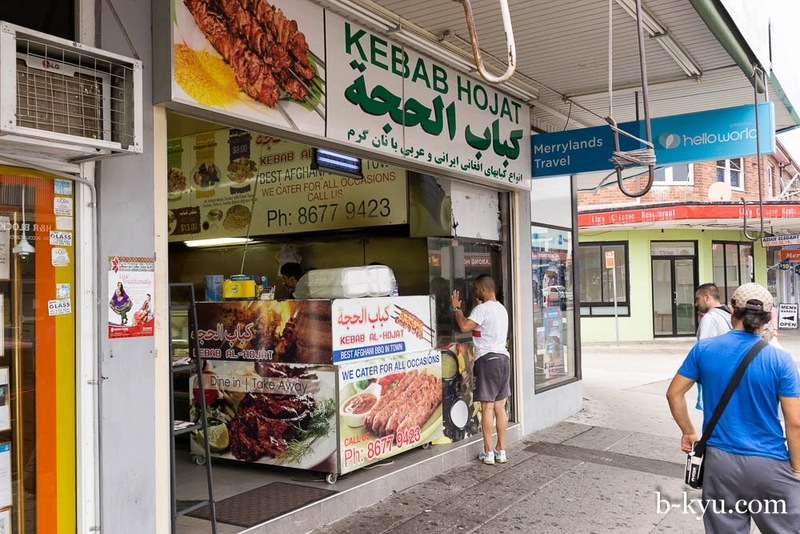 Kebab Al-Hojat is at Shop 2/254 Pitt Street, Merrylands. Phone 8677 9423. Hi Skye, glad you found us, welcome! Thanks for your request on mentioning if a place is halal. We do try where possible and make sure it is properly certified as well. We have a tag for halal, might need some updating. This place looks absolutely delicious - I think I may have a date with Merrylands this weekend.